Owner & Lead Clinician of All Powers Rehabilitation & Conditioning. You are starting the painstaking period of rehabilitation and want to maintain your lean appearance. Time to cut out those excess calories, yeah? Alongside asking all my clients which prescribed or over the counter medications they are currently taking, one of my first questions to ask is whether they are currently or recently have stopped taking any supplements. Occasionally people respond in the affirmative saying that they take a multi-vitamin tablet or sporadically they may be taking fish oils or glucosamine to assist joint care. However, rarely do they mention the staples of the experienced exercise trainee- things like protein or creatine. In fact that is not entirely true- MANY people say they WERE taking these supplements, but stopped as soon as they got injured. This dumbfounds me… Most of the time my clients say that as they are “unable to train the same” they feel they no longer require higher amounts of these substances. They are concerned that they will put on weight, and even may stop supplementation AND start nutritional depletion by reducing calories through diet. A car which is bent and smashed up still needs fuel! Sometimes it needs a mechanic to look at it and tune it up, to change the oil, to fill the tires with air. To allow the engine to keeping working it may need a little extra TLC! The worse thing to do when your car is decaying and falling apart is to provide it with LESS attention. Humans are similar. Expecting for your recovery from injury to be optimal without the necessary nutritional building blocks is, in my opinion, a mistake. An injury needs some essential environmental characteristics to recover fully: relative rest, rehabilitation and nutrition. For this article we will examine the one of the most commonly taken supplements across all areas of exercise and training: Protein. As most people who train and exercise are aware, protein is a key component of diet to allow for effective building and repair of body tissue. It builds the little biological powerhouses of our body (enzymes) to accelerate cellular reactions to promote tissue development. Muscle growth depends upon you maintaining a positive net protein balance. This means that in order for muscles to grow, you have to create (synthesise) more tissue than you breakdown. However this process needs appropriate stimulation! One form of stimulation is muscle overload. To build bigger muscles you have to provide them with sufficient load to break down the tissue, which acts as a stimulus for the body to build newer tissue (1,2). No diet in the world will turn your into the next Arnold Schwarzenneger or Ronnie Coleman, if you do not exercise enough to kick start protein synthesis. The other component of an effective stimulatory state to build muscle is the intake of high quality protein (and as such, sufficient levels of essential amino acids). This idea has previously been tested and those who train in a fasted state (or with insufficient protein intake) result with a negative net protein balance (3,4). There are various forms of “high quality” protein; including milk sources (whey, casein) or soy. 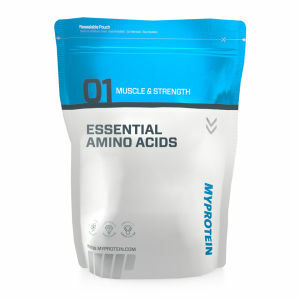 There are also lots of different combinations of essential amino acids available as supplements, including branch chain amino acids (BCAAs) and pure forms of amino acids (such as leucine). In fact leucine is considered one of the more required modulators of protein synthesis, as it acts to increase signalling protein activity and allows greater cellular reactions (5). It is also suggested that whilst sufficient protein intake is important, the levels of leucine consumed are equally important, as muscle building efficiency seems dependent upon the specific essential amino acid content of the supplement (6). The main types of protein supplements usually consumed are either whey or casein proteins, as research has suggested that ingesting milk proteins before or immediately following resistance exercise contributes to optimising muscle building and increased muscle strength (7, 8, 9, 10). Whey protein is derived from a curd processing process of milk and comes in various forms, namely isolates, concentrates and hydrolysates, which all vary slightly in how they are processed (as suggested in the name “isolates” are generally more specific to the protein, with concentrates including more of other substances). Whey isolate will usually contain approximately 90%+ protein and very little fat and carbohydrate (lactose). Across the board whey protein concentrates can have between 25-89% protein, and the hydrolysate form of whey has been shown to be more effective in building muscle than soy and casein protein products (8,11, 12). Whey protein supplements are generally considered the best choice for muscular gains (synthesis and strength) (13). Casein protein is generally recognised as “inferior” to whey in some aspects, but this is criticism is disregarded due to its benefit in other areas. Certainly studies indicate that following resistance training casein protein does not increase protein synthesis to the degree of whey protein (14). However, it does promote an anti-catabolic effect (meaning it prevents muscle breakdown) (15) and may be better at satisfying hunger (16). Another age old question to consider is “how much and when”? Historically studies have shown that resistance training opens a “window of opportunity” where, if the correct substances are available, muscle synthesis can be optimised. These substances of course include protein and essential amino acids, but also carbohydrates (glucose or maltodextrin) to allow sufficient insulin to modulate the building process (17, 18). This inclusion of carbohydrate has also shown to increase lean body mass more than just protein alone (8,12,19). Consuming protein immediately following training appears to activate a specific reaction within the muscles via the mTOR (mammalian target of rapamycin) pathway which regulates cell growth and protein synthesis (20,21). The optimal dose per serving appears to be 10-20g post work out, although previous studies suggest anywhere between 6g-40g as being effective (22, 23, 24, 25). Fair point. However, researchers over in Denmark at the Copenhagen Institute of Sports Medicine, may be able to shed some light on things. Holm et al. (26) took a cohort of 30 individuals who has suffered an anterior cruciate ligament injury in one knee. This is nothing to be sniffed at, the anterior cruciate ligament is essential for normal walking and running and the post operative rehabilitation following reconstruction takes between 6-9 months. Conservative management means a period of restricted activity for up to 12 weeks. All subjects were provided with a resistance training programme aimed at muscular endurance. This consisted of a variety of machine based leg exercises (e.g. leg press in sitting and standing, leg curl) for 3 sets of 15 repetitions. For the experiment they used a 20 repetition maximum (the hardest weight they could do for 20 repetitions). They all completed the programme of three sessions per week for 12 weeks. One group of 10 were provided a supplement of only 10g milk/soy protein (plus carbs and fat); another had a carbohydrate supplement (plus fat, no protein); and the final group had a placebo supplement (minimal carbohydrate or fat, no protein). Then of course their diets were planned to prevent the results being biased. In this instance 2 hours of either side of their workout they were told not to consume anything but water and their post work out supplement. Additionally, they spent 4 days at the start and the end of the training period weighing and writing down their daily food consumption, which did not alter during the trial. They measured the “hypertrophic response” (muscle synthesis and growth) in the quadriceps muscle at the front of the knee and the peak dynamic muscle strength of the quadriceps muscles. They saw that the protein-consumption group saw a “markedly larger” increase in both size (4% greater) and strength (3% greater) compared to the carbohydrate or placebo supplements! They also found that the only group who saw significantly greater changes in muscle strength was the protein supplement group (13% increase in strength)! These results indicate that a significant improvement in your rehabilitative potential can be shown with appropriate supplementation when training during recovery from injury, even when your intensity, amount of loading and training focus may have altered. In this study working at a 20 repetition maximum is more akin to muscular endurance training rather than hypertrophy; however as a rehabilitation tool this is appropriate and still shows benefit in muscle strength and size. In fact, additionally there is also some evidence that the use of a protein supplement, alongside a carbohydrate “energy” supplement, may reduce complications in recovery and prevent an “unfavourable” outcome following hip fractures in old people (27). As such it supports the notion that it is essential to continue to supplement your diet with protein when rehabilitating from an injury! With 2,800 surplus calories (and 72g of protein) required to build 1 pound (454g) of new muscle in a “normal” state (28), it stands that you would need even more if the tissue is recovering from injury. If you are concerned about gaining weight through continuing supplementation whilst reducing exercise activity it stands to reason that you need to be specific with which supplement you choose to use. 1 Some evidence is available to show that combining fast (whey) and slow (casein) acting proteins provide the most anabolic effects (6, 29), however in a state of reduced activity I would say the ends do not justify the means. The increase is not significant enough to overload with two forms of protein during rehab. 2. Your best option is to choose a whey protein supplement (like the MyProtein Impact Whey) and ensure you get around 3-4g of leucine (or other essential amino acids) per serving to promote maximal muscle synthesis (20). The Impact Whey product provides 2g leucine per serving, so why not add a BCAA to optimise your growth (e.g. BCAA 4:1:1 powder or tablets which provide an additional 3.3g of leucine, 850mg L isoleucine and L Valine per serving). 3. Aim for 20g immediately post work out, followed by another 20g 1 hour later (or alternately 40g in one shake immediately) for maximal muscle growth response (6). 4. I know you are concerned about calorie intake during rehab- however a little bit of carbohydrates goes a long way in helping muscle build- it is fine to have a bit of carbs and fat in your diet or in your supplement during this period! 5. If you already have a good nutrition plan and feel your non-protein macros are taken care of sufficiently to promote muscle synthesis, then supplement your rehab sessions with a whey protein isolate (like Impact Whey Isolate) to ensure maximal protein % in each dose (and 2g of leucine). 6. Or for even more bang for your buck go for the Impact Native Whey 95 which has an amazing 95% protein per serving and a little extra 0.5g of leucine more than the other products (2.5g), with low carbs and low fats. 7. A final option could be the Iso:Pro 97 supplement which has 97% protein per serving with a massive 3g of leucine and is a great option if you do not want to buy a secondary BCAA supplement! 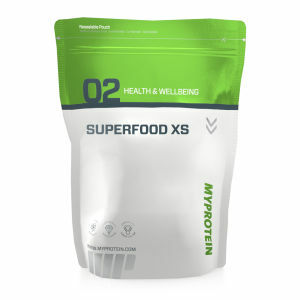 The only issue with this product would be that it contains NO carbs- so you need to ensure these are coming from your diet to sustain the insulin levels required to feed muscle synthesis. However, if injured and cutting down for a bodybuilding competition, I could not think of a better supplement to use in the final week or so! So there you have it… When you are injured you can sensibly make strength and size gains during your rehabilitation if you supplement appropriately with the specific and correct types of proteins and amino acids. The range and diversity of products means you can consume the correct amount of carbs and fats to assist protein synthesis without overloading during a period of “reduced activity” due to injury rehab limitations. Next time we shall discuss another widely used supplement, creatine, and we will examine whether this is an effective addition to a rehabilitation programme diet. Goldberg AL. (1972). Mechanisms of growth and atrophy of skeletal muscle. Muscle Biol, 1, 89–118. Goldberg AL, Etlinger J, Goldspink D, and Jablecki C. (1975). Mechanism of work-induced hypertrophy. Med Sci Sports, 7, 185–198. Andersen LL, Tufekovic G, Zebis MK, Crameri RM, Verlaan G, Kjær M, Suetta C, Magnusson P, and Aagaard P. (2005). The effect of resistance training combined with timed ingestion of protein on muscle fiber size and muscle strength. Metabolism 54, 151– 156. Phillips SM, Tipton KD, Aarsland A, Wolf SE, and Wolfe RR. (1997). Mixed muscle protein synthesis and breakdown after resistance exercise in humans. Am J Physiol, 273, E99–E107. Crozier SJ, Kimball SR, Emmert SW, Anthony JC, and Jefferson LS. (2005). Oral leucine administration stimulates protein synthesis in rat skeletal muscle. J Nutr 135, 376–382. Langer H. & Carlsohn A. (2014). Effects of Different Dietary Proteins and Amino Acids on Skeletal Muscle Hypertrophy in Young Adults after Resistance Exercise: A Systematic Review. Strength and Conditioning Journal, 36, 3, 33- 42. Elliot TA, Cree MG, Sanford AP, Wolfe RR, & Tipton KD. (2006). Milk ingestion stimulates net muscle protein synthesis following resistance exercise. Med Sci Sports Exerc, 38, 667–674. Hartman JW, Tang JE, Wilkinson SB, TarnopolskyMA, Lawrence RL, Fullerton AV, & Phillips SM. (2007). Consumption of fat-free fluid milk after resistance exercise promotes greater lean mass accretion than does consumption of soy or carbohydrate in young, novice, male weightlifters. Am J Clin Nutr, 86, 373–381. Josse AR, Tang JE, Tarnopolsky MA, & Phillips SM. (2010). Body composition and strength changes in women with milk and resistance exercise. Med Sci Sports Exerc, 42, 1122–1130. Tang JE & Phillips SM. (2009). Maximizing muscle protein anabolism: The role of protein quality. Curr Opin Clin Nutr Metab Care, 12, 66–71. Tang JE, Moore DR, Kujbida GW, Tarnopolsky MA, & Phillips SM. (2009). Ingestion of whey hydrolysate, casein, or soy protein isolate: Effects on mixed muscle protein synthesis at rest and following resistance exercise in young men. J Appl Physiol, 107, 987–992. Wilkinson S, Tarnopolsky M, MacDonald M, MacDonald J, Armstrong D, Phillips S (2007). Consumption of fluid skim milk promotes greater muscle protein accretion after resistance exercise than does consumption of an isonitrogenous and isoenergetic soy-protein beverage. Am J Clin Nutr, 85, 4, 1031–1040. Phillips SM. (2011). The science of muscle hypertrophy: Making dietary protein count. Proc Nutr Soc, 70, 100–103. Tipton KD, Elliott TA, Cree MG, Wolf SE, Sanford AP, & Wolfe RR. (2004). Ingestion of casein and whey proteins result in muscle anabolism after resistance exercise. Med Sci Sports Exerc, 36, 2073–2081. Boirie Y, Dangin M, & Gachon P. (1997). Slow and fast dietary proteins differently modulate postprandial protein accretion. Proc Natl Acad Sci USA 94, 14930–14935. Alfenas Rde C, Bressan J, & Paiva AC. (2010). Effects of protein quality on appetite and energy metabolism in normal weight subjects. Arq Bras Endocrinol Metabol, 54, 45–51. Byfield MP, Murray JT, & Backer JM. (2005). hVps34 is a nutrient-regulated lipid kinase required for activation of p70 S6 kinase. J Biol Chem, 280, 33076–33082. Nobukuni T, Joaquin M, Roccio M, Dann SG, Kim SY, Gulati P, Byfield MP, Backer JM, Natt F, Bos JL, Zwartkruis FJ, Thomas G. (2005). Amino acids mediate mTOR/raptor signaling through activation of class 3 phosphatidylinositol 3OH-kinase. Proc Natl Acad Sci USA, 102, 14238–14243. Josse A, Tang J, Tarnopolsky M, & Phillips S. (2010). Body composition and strength changes in women with milk and resistance exercise. Med Sci Sports Exerc, 42, 6, 1122–1130. Stark M, Lukaszuki J, Prawitz A, & Salcinski A. (2012). Protein timing and its effects on muscular hypertrophy and strength in individuals engaged in weight-training. Journal of the International Society of Sports Nutrition, 9, 54. MacDougall JD, Gibala MJ, Tarnopolsky MA, MacDonald JR, Interisano SA, & Yarasheski KE. (1995). The time course for elevated muscle protein synthesis following heavy resistance exercise. Can J Appl Physiol, 20, 480–486. Moore DR, Robinson MJ, & Fry JL. (2009). Ingested protein dose response of muscle and albumin protein synthesis after resistance exercise in young men. Am J Clin Nutr, 89, 161–168. Rasmussen BB, Tipton KD, Miller SL, Wolf SE, & Wolfe RR. (2000). An oral essential amino acid-carbohydrate supplement enhances muscle protein anabolism after resistance exercise. J Appl Physiol, 88, 386–392. Tang JE, Manolakos JJ, Kujbida GW, Lysecki PJ, Moore DR, & Phillips SM. (2007). Minimal whey protein with carbohydrate stimulates muscle protein synthesis following resistance exercise in trained young men. Appl Physiol Nutr Metab, 32, 1132–1138. Tipton KD, Ferrando AA, Phillips SM, Doyle D Jr, & Wolfe RR. (1999). Postexercise net protein synthesis in human muscle from orally administered amino acids. Am J Physiol, 276, 1, E628–E634. Holm L, Esmark B, Mizuno M, Hansen H, Suetta C, Hölmich, Krogsgaard M, & Kjær M. (2006). The Effect of Protein and Carbohydrate Supplementation on Strength Training Outcome of Rehabilitation in ACL Patients. J Orthop Res, 24, 2114–2123. Avenell A, & Handoll HH. (2003). A systematic review of protein and energy supplementation for hip fracture aftercare in older people. Eur J Clin Nutr. 57, 8, 895-903. Hall K. (2010). Mathematical modeling of energy expenditure during tissue deposition. Br J Nutr, 104, 4–7. Lowery L, Edel JF & McBridge IM. (2012) Dietary Protein and Strength Athletes. Strength & Conditioning Journal, 34, 4, 26-32.